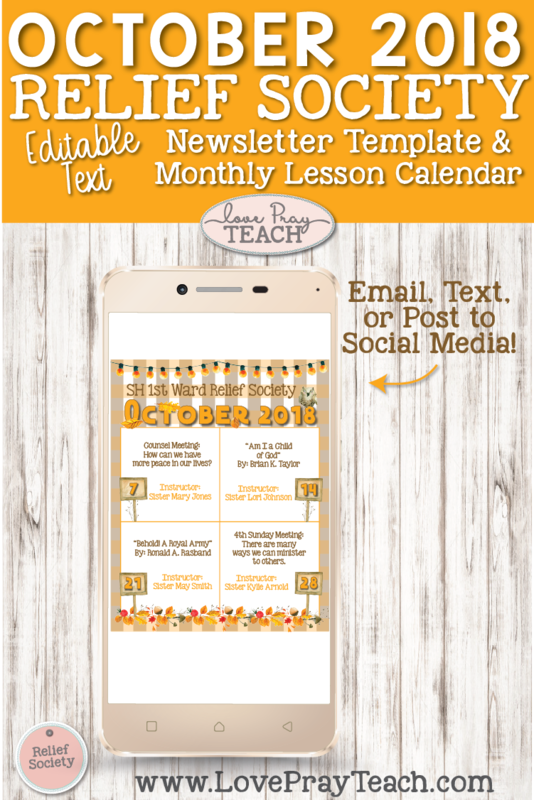 All words are editable except "October 2018"
All words are editable except "October 2018" and the dates. Relief Society Fourth Sunday Meeting "What does it mean to minister?" 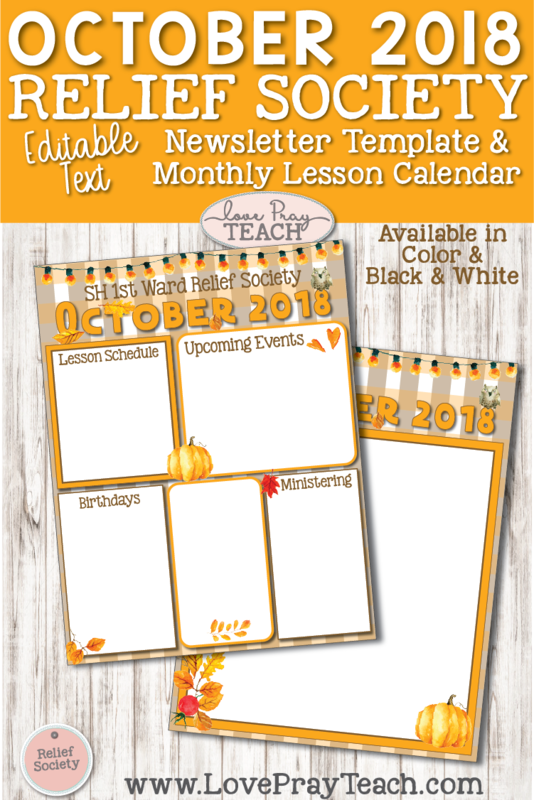 2018 Relief Society 4th Sunday Lesson Packets "Ministering Unto Others"